In “data mining” approaches, reproducible features of measured traffic data are identified and analyzed through the use of various learning systems like neural networks, regression techniques, time series, wavelet analysis, Bayesian networks, etc. The nature of the traffic phenomena does not play a key role for this reproducible traffic feature learning. Instead, reproducible phenomena of the input data are learned by those methods. In contrast, “physics of traffic” approaches understand, explain, and model these reproducible features of measured traffic data. 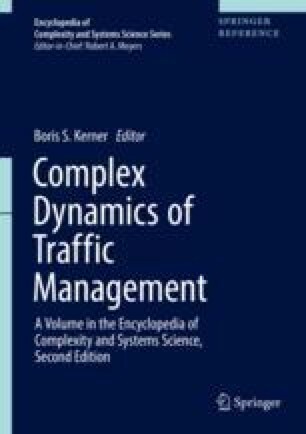 Then features of traffic phenomena are used as the basis for traffic prediction methods.